MSC Cruises is bringing some impressive deals for the MSC Seaside in October thanks to the #ChooseCruise campaign by the Cruise Line International Association (CLIA). For the month of October, cruisers can take advantage of $75 shipboard credit per person (up to $150 total per stateroom) when booking an Aurea experience balcony stateroom or suite. This perk is for select sailing on MSC Seaside Between October 2018 and November 2019. Guests will have to book through their travel agent to get this perk. The promotion will only run until the end of October. It may be the best chance to enjoy one of the newer MSC cruise ships based in the U.S.
By booking the Aurea experience the entire vacation is elevated with priority boarding, enhanced stateroom amenities, all-inclusive beverage status throughout the ship, My Time dining option and a variety of wellness features with spa savings. While we’re telling Cruise Hive readers about this promotion for MSC Seaside it might also be a good idea to look at the best cruise deals fro the ship right now. MSC Seaside is the first in her class and is based year-round out of Miami, Florida. 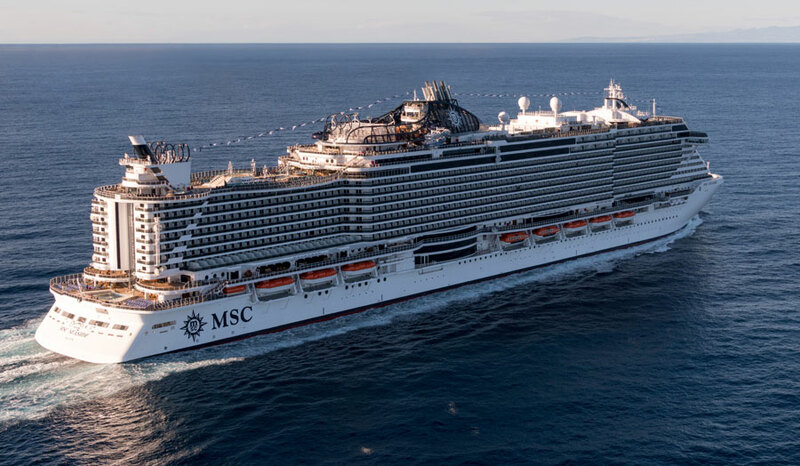 The MSc ship sails week-long cruises alternating between the Eastern and Western Caribbean departing every Saturday. The ship which launched in December 2017 is 153,500 gross tons and has a guest capacity of over 4,100 at double occupancy.